Last week, Gov. Paul LePage proposed $221 million in budget cuts to the state's health and human services programs. This week, Mainers get their chance to respond. Last week, Gov. 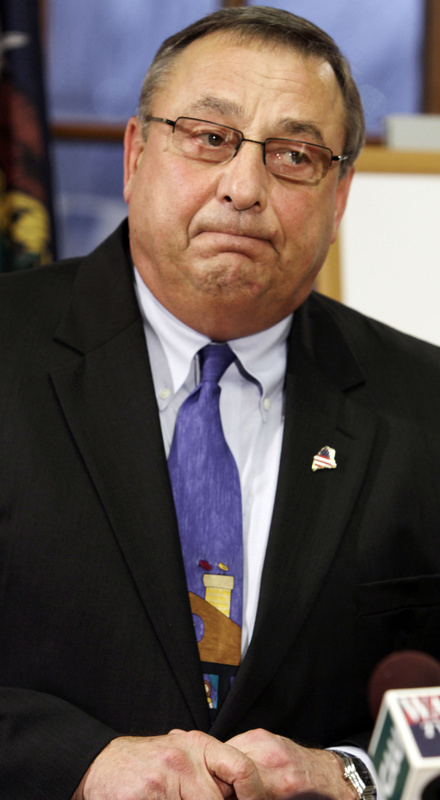 Paul LePage proposed $221 million in budget cuts to the state’s health and human services programs. This week, Mainers get their chance to respond. Cuts would directly affect the young, the old, the poor, the sick and the disabled. And cuts to hospital payments would indirectly affect much of the rest of the state, by shifting health costs onto Mainers’ insurance premiums and medical bills. Legislators are bracing for a huge response. The public hearing before the Legislature’s Appropriations Committee is scheduled to last three days, Wednesday, Thursday and Friday. * Elders. As many as 6,000 senior citizens with disabilities would have to pay more for their medications. The budget would eliminate Maine’s Elderly Low-Cost drug program, and would stop subsidizing premiums for Medicare prescription drug coverage. Seniors, including those with Alzheimer’s, would be among the 6,000 disabled adults and others who may have to find new places to live. The proposal would cut off state funding for various residential facilities and boarding homes known as private non-medical institutions. Residents of intermediate care or nursing facilities would no longer get physical therapy covered by MaineCare, the state’s Medicaid health insurance program for the poor and disabled. * Children. Funding for Head Start, an early-childhood development program for low-income families, would be eliminated. Funding would be reduced for children who are behaviorally challenged and in a residential setting. * Disabled. Funding for consumer-directed attendants and adult family care would be eliminated from MaineCare, adding pressure on family caregivers. Some disabled adults would have to leave group homes that lose state funding. * Mentally ill. Access to mental health crisis intervention would be limited to people with severe and persistent illness. * Chronically ill. MaineCare would limit coverage to five hospital admissions and 15 outpatient hospital visits per person per year. Patients with chronic illness who need more frequent treatments would have to pay for additional visits or rely on charity care from hospitals. * Homeless. Targeted case management services would be reduced, including to homeless people and those with HIV. * Recovering addicts. Access to treatment would tighten up. Recovering opiate addicts would be limited to two years of MaineCare-covered treatment with Suboxone. Many would have to move out of residential treatment facilities that would lose state funding. * Low-income adults. This group would feel the biggest impacts and make up most of the 65,000 people to be cut from MaineCare coverage. An estimated 18,000 low-income adults who do not have children would lose health coverage through MaineCare. Another 21,000 parents of children enrolled in MaineCare would lose their coverage. And 7,000 19- and 20-year-olds would no longer be eligible. Adults who remain in MaineCare would no longer be covered for a variety of services, including smoking cessation and speech therapy, and podiatry, chiropractic, optometry, dental and sexually transmitted disease screening services. * Hospitals. The state would reduce MaineCare reimbursements paid to hospitals by about $10 million over the next 18 months. That would lead to a $20 million cut in federal funding. Hospitals would absorb some of the cuts, but would be expected to increase health care charges in the commercial market.